Is Garmin Connect Down Right Now? 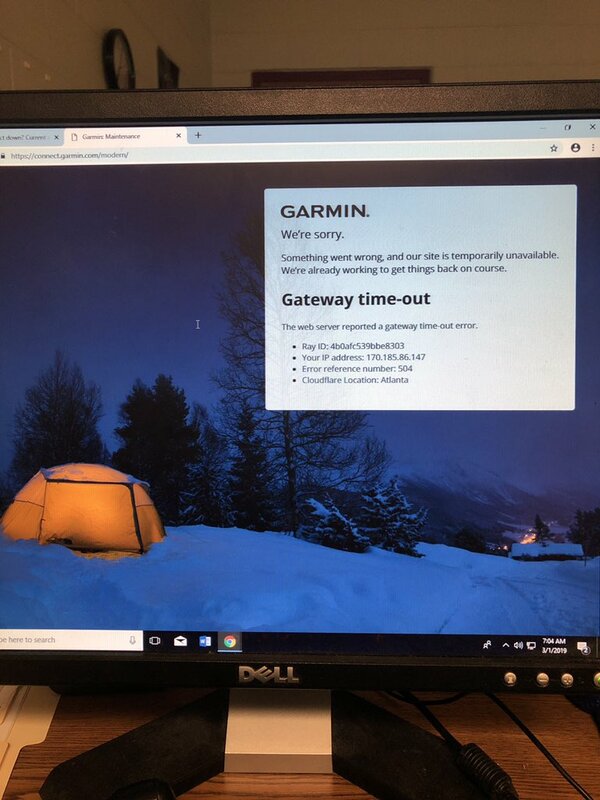 @GarminFitness The login page for connect still isn't loading properly. Help? @GarminFitness can't seem to get connect and @MyFitnessPal to connect to each other, any known issues? 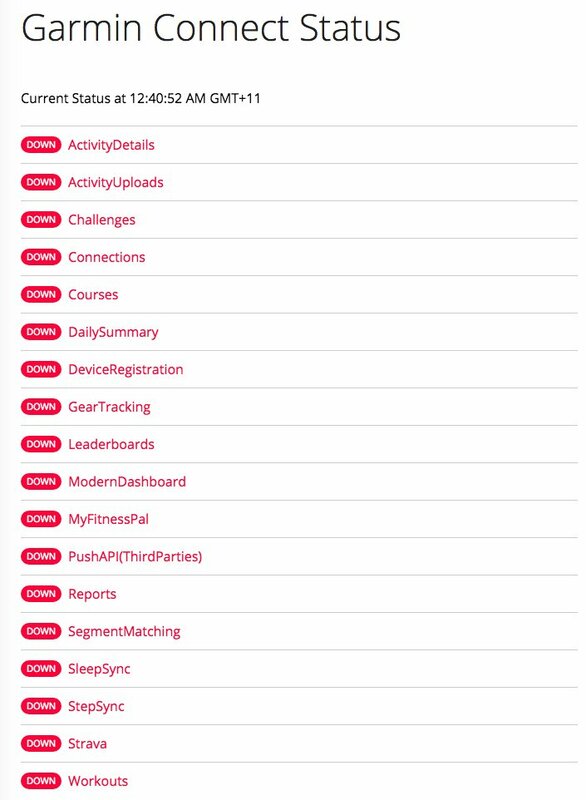 @garminconnect @GarminFitness - Any ETA on the current outage for all Connect services? @GarminFitness Is your site down, or is it something on my end? Hi @GarminFitness. Do you currently have problem? My run yesterday does not uploaded to Connect. Both @GarminFitness and @Strava stopped working this afternoon. A coincidence? Can't believe @strava is down. Almost tempted to look at the @GarminFitness app... a sorry state of affairs. Thank heavens for @GarminFitness when Strava is down, I know my data is safe and ready to sync! @GarminFitness why why why do my tweets about my broken watch keep getting removed! I need help!! @GarminFitness it appears that the elevation graphs are missing from the iOS app. Is this a known issue? @GarminFitness having real problems concerning #vivosport after the #androidupdate over the weekend, any ideas? 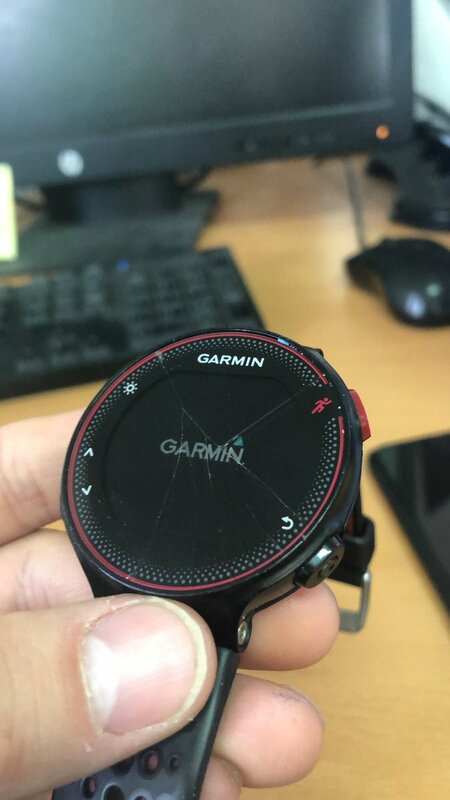 @GarminFitness are you guys gonna fix your servers anytime soon? @GarminFitness any reason why I am getting unable to verify location when I try to access the app. Can't get passed this error. My @GarminFitness watch is acting really weird today. It was 2 hours behind and told me I only had 13 steps after a 7 mile run this morning.